Los Angeles Lakers star LeBron James continues to take steps towards returning to the court. 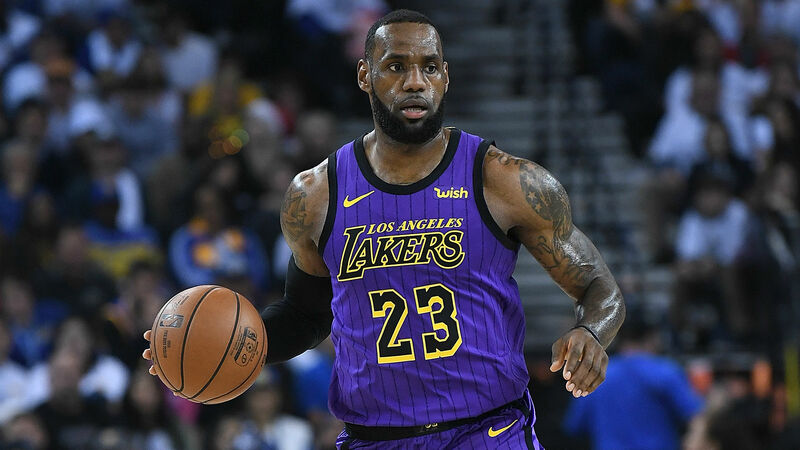 The 34-year-old, who has not played since straining his groin on December 25, participated in half-court shooting and passing drills during the Lakers' shootaround on Tuesday. He is set to be re-evaluated on Wednesday. Lakers coach Luke Walton said he thinks the team will hear positive news after James is re-examined. "I'm optimistic about life," Walton said, via ESPN. "So yes, that would be covered in that … I think we'll get good news back." Walton said he was "encouraged" by James' participation in some parts of Tuesday's workout. "[James] does a lot of [running] when we're not here," Walton said. "I don't know the [exact] amount of running he's doing. I just know he seems to be in good spirits. He's got another test tomorrow to get some more information on it." James underwent an MRI the following day and wrote on Twitter he "dodged a bullet". But, he has missed the Lakers' last 10 games. Los Angeles have tallied a 3-7 record in his absence. The Lakers will host the Chicago Bulls on Tuesday. They will enter that matchup with a 23-21 record and on a two-game losing streak.